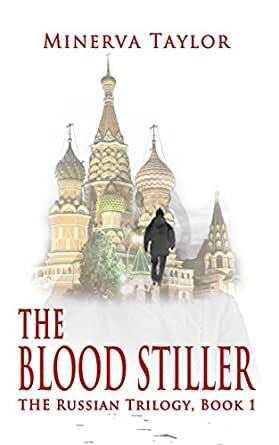 For fans of Steve Berry, Dan Brown, Robert Harris and Kate Mosse&apos;s historically accurate thrillers, a riveting page-turner questions if the Romanov dynasty really ended, suggesting the &apos;one designated by blood&apos; may still be alive. Ipatiev House, Ekaterinburg Siberia, July 1918: On the eve of his execution, in a desperate attempt to save the Romanov Dynasty, Tsar Nicholas II signs in secret his last Ukase, an irrevocable royal edict, bestowing untold riches and power on his legitimate heir, &apos;the one designated by blood&apos;. New York City, 1970: Christina Gartner, a divorced young socialite befriends her new neighbor, Mme. Antonova, an elderly White Russian émigré who escaped the Russian Revolution with her two children. The charming Mme. A. captivates Christina with stories of her escape, but are they the truth? The friendship catapults Christina into a cat and mouse game with a ruthless aging Bolshevik on the hunt for the Tsar&apos;s long lost and explosive Ukase so he can take control of the Russian government and the country&apos;s mining riches. It&apos;s up to Christina and a NYC cop to find the Ukase and the secrets of the Blood Stiller, before the sinister émigré conspiracy in contemporary New York does. I started to enjoy this book half way through, until then I found it quite slow. I am looking forward to reading the second one. I'm not sure why Russian tragedies seem more... well, tragic! Whatever the reason, the assassination of Czar Nicholas II and his family has provided fodder for conspiracy and intrigue for a century now, and I'm all on board for every tale. The Blood Stiller takes it on in a tale that unfolds in 1970s New York, when young divorce Christina moves into an apartment across the hall from Madame A, an old Russian woman. As the friendship between the two develops, Christina meets many of Madame A's intriguing and frequently ominous Russian friends and gets drawn into a dangerous mystery. When Madame A disappears, Christina finds herself questioning who she can trust as she tries to find the old woman and unravel the mystery she left behind. There are holes in this story, but as long as I'm suspending belief to get drawn into the pleasure of another Russian revolution mystery, I can suspend it to overlook them. My initial reaction to Christina was to think she's pretty naive and trusting. Then, I remembered what it was like to grow up in the 70s - and we were all pretty naive and trusting. In our current century, Christina would jump on the internet and do at least a social media background check on people; she'd wonder why an NYPD police officer disappears for weeks at a time, and how he can spend so much time with her and never check in with his job. We've become much less trusting and we have more tools to do casual research. So, keep that in mind when reading this book. In addition, there are a lot of details that just don't add up; again, the reader is required to overlook quite a bit, and some of the details can cause confusion. I found the somewhat mystical dream sequences (some in full daylight, when Christina is awake) mostly unnecessary. I definitely want to read the next book in the series because I'm hooked in spite of the problems, and I would recommend it to anyone who loves historical fiction and conspiracy. Now for my grammar/punctuation rant. Taylor seems to have severe problems distinguishing between possessive and plural. There's a paucity of commas that results in the need to re-read a paragraph, mentally inserting commas in order to make sense of what the author is trying to convey. It disrupts the storytelling. I actually went back to the author's bio to see if the explanation for this could be translation from another language, or the author being ESL. (Neither.) A good edit would fix these problems, and IMO make the book easier to read. All in all, I would've given the book a higher rating if more attention had been paid to the details in both the story and the writing; however, I never had an urge to put it down or throw it across the room. 1.0 out of 5 starsFiction or nonfiction? Unless you are rare client in Russian history I would not recommend this book. It reads like a fairytale mixed in with possible true events and characters that are shrouded in mystery...for no apparent reason! The main character, in my opinion, needed to see a shrink! One star because the author must have done a tremendous amount of research....too bad it wasn't formed into a readable story. Such an unusual storyline and unlike any I have read...... and I read a great deal. The plot was dark, complex, tied neatly into a horrendous time in history. It seemed to be well researched and reeled me in even when I did not want to be. As strange as the plot was, it seemed completely believable. I knew it could not end well, but I had to keep reading. If you like the unusual and historical novels, this may be a good read for you. 5.0 out of 5 starsAction and intrigue. From the very first page, I just could not put the book down. The book was full of information and intrigue and twists and turns centered around the history of the Russian revolution and the echoes through time down to the current day.